currently under construction at 2325 Welch Street, Houston. The development is scheduled for completion in 2019. Sales for available units range in price from $1,550,000 to $2,890,000. The Revere at River Oaks has a total of 33 units. Sizes range from 2448 to 3614 square feet. 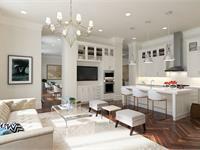 Pelican Builders is pleased to present The Revere at River Oaks – a boutique condominium consisting of 33 residences located in the River Oaks area of Houston, TX. This exclusive opportunity features a River Oaks address, stately architecture, refined appointments, and generous interior spaces. The Revere is now selling and will become an exciting addition to Houston’s distinctive River Oaks neighborhood. Call today for your sales presentation 713.600.5060. Your inquiry will be delivered to the The Revere at River Oaks sales team, who will send you more information about this development.